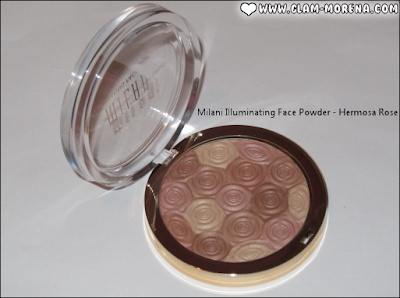 Glam Morena: New: Milani Illuminating Face Powder. 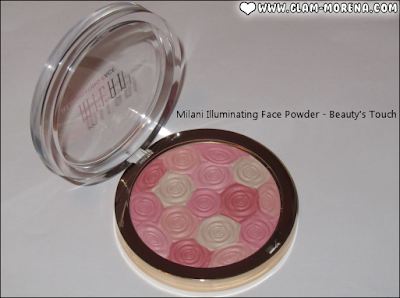 New: Milani Illuminating Face Powder. I'm really thrilled to share with you a new product that's going to be available this year from Milani Cosmetics and it's the Milani Illuminating Face Powder. There are three shades available: Amber Nectar, Hermosa Rose, and Beauty's Touch. Description: An ultra-smooth, multi-color blush, bronzer, and highlighter. Gives a skin a hint of color with a lit-from-within radiant healthy glow. Suitable for all skin types and tones. 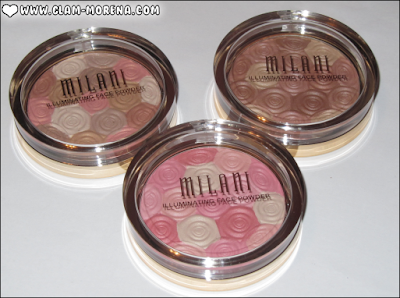 The Milani Illuminating Face Powder have a pearl or luminous pearl finish. There's a silky, smooth powder texture. Each shade has buildable coverage, so you can apply it as lightly or heavily as you want. Be sure to check out the video to see how I use and apply each shade! 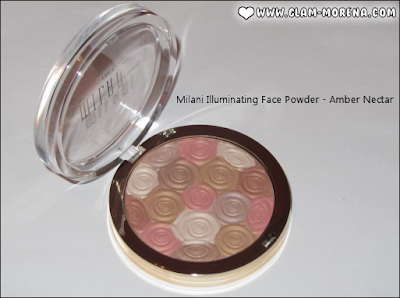 Now on to swatches of all the Milani Illuminating Face Powders! Is this something you would purchase? What's your favorite shade? Thoughts? The colors are beautiful. Very nice products. I love the design of these. So pretty. I need to get my hands on these.